Desire-Plus-An-E: Eye Post # 10: Which Contact Lenses Should I Wear?! Eye Post # 10: Which Contact Lenses Should I Wear?! 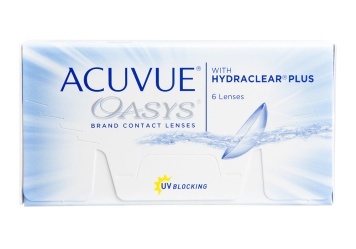 - Since they're made to be worn only for one day, the lenses are made the thinnest possible. They're much more comfortable to wear. - It's the healthiest type of CL to wear. - They have high water content and oxygen permeability compared to other CL, again helping with the comfort factor. Dry eye symptoms after wearing CL for a long day are minimized or even eliminated. - Since they're only for one day wear, you don't have to worry about cleaning and storing. They're thrown out right after you've used them. 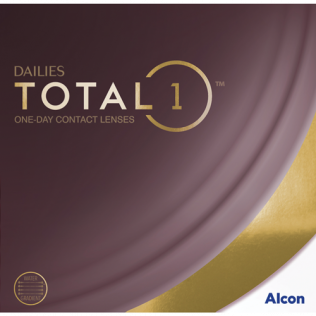 - Dailies made to accommodate high astigmatism (toric lenses) and presbyopia (multifocal lenses) are available. - Convenient as glasses don't have to be worn. - For someone who needs/wants to wear contacts frequently, the cost of dailies are more than biweeklies/monthlies. - Very few options for customizing CL for extended range prescriptions. - One pair of biweeklies lasts you for two weeks worth of CL wear. You wear the same pair as often as you want during that time frame. - Healthier option than monthly wear CL. - Cheaper cost in the short run. - Lenses to accommodate astigmatism (toric lenses) and presbyopia (multifocal lenses) are available. - Convenient as glasses don't need to be worn. - People have a high tendency to overwear their CL and they misuse them. Beyond the two week wear the CL is significantly more prone to microbial growth. - CL solution and cases also need to be purchased for cleaning and storing routinely. - People tend to slack with proper cleaning and storing procedures, which will compromise the cleanliness of the CL. - Fewer options for customizing CL for extended range prescriptions. - If you're going away on a trip, have a backup pair or glasses ready to use in case the CL is damaged/lost. - One pair of monthlies lasts you for a month worth of CL wear. You wear the same pair as often as you want during that time frame. - The cheapest cost in the short run. It's the most cost-friendly option for people who wear CL regularly. - More options of custom CL available that can accommodate extended range prescriptions. - People forget to replace their CL after a month's time. - People slacking with proper cleaning and storing procedures are more likely to acquire infections because of microbial growth on CL. - If your current pair is damaged/lost, then you may lose as much as a month's worth of CL wear. You should have a backup pair or glasses ready, especially if you're travelling. - Towards the month end, the CL feels "dried out", causing dry eye symptoms during CL wear. Hope you were able to learn something! Feel free to ask any other questions in the comments below!